If you want to build a perfect board you have to start with a perfect frame! This high-performance all-around surfboard is a cross between a longboard and a performance hybrid. 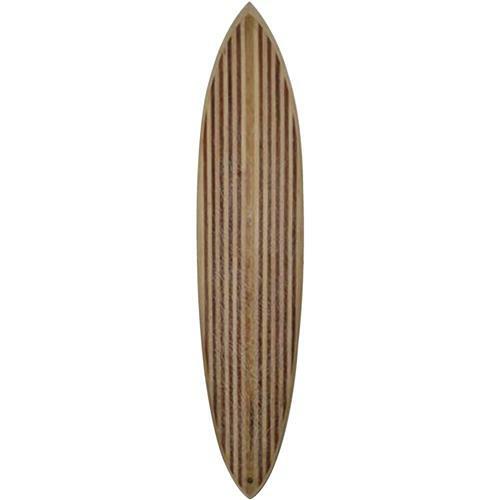 When built according to plans, this retro egg-style board lets you make the most of any size surf. It paddles like a dream so you'll catch waves earlier and more often. You can also add speed and maneuverability by sharpening the nose and making the tail more pointed. These frame kits are CNC machined from high-quality mahogany plywood and contain all of the wood pieces you need to make a light, strong, perfectly shaped frame including ribs, spar, and complete instruction manual in PDF format. You will need wood for the outside planking, fiberglass, glue, sandpaper, and common tools to complete this kit. PLEASE NOTE: ALL KITS ARE NON-RETURNABLE. Defective kits will be replaced.